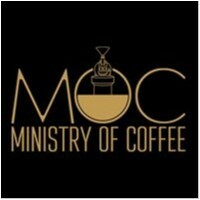 MOC' Ministry of Coffee joined our Mission to help provide access to “Clean Water for All by 2030”. This Mission was initiated by the United Nations. A big thank you to MOC' Ministry of Coffee’s team and customers for joining this extremely important mission on 23 January 2018. Ministry of Coffee (or MOC to our friends!) is a supplier of premium coffee. We cater to orders big and small - from the at home coffee aficionado to large restaurants and hotels - we promise a great cup of coffee, every time! Combining traditional Turkish coffee culture with the vibrancy of Sydney, Ministry of Coffee roasts and blends their own beans to give you a truly unique coffee experience. Whether your looking for the perfect at home blend, run a small cafe or large restaurant, Ministry of Coffee can supply coffee that your customers will love! We believe in changing the world one cup of brilliant coffee at a time!